Like the city, the New Richmond Area Chamber of Commerce & Visitors Bureau has grown and prospered. Its’ members and staff work hard to improve the quality of life for Chamber members and residents alike. With a membership of more than 200 business and professional organizations, a calendar of business and community events and an important role in government and schools, the Chamber works hard to serve a thriving and growing community. Best of all, the Chamber combines a feeling of small-town community involvement with the kind of forward-thinking business sense necessary in today’s increasingly competitive business environment. 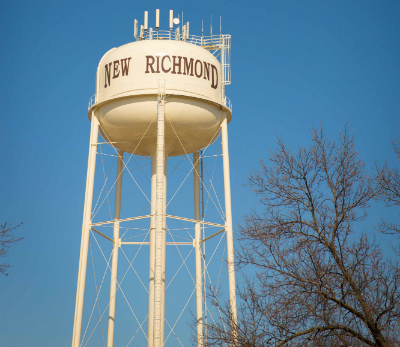 In addition, New Richmond is a great place to live and work with great schools, many parks and a year full of community events. That spirit is captures in the community’s marketing tagline- Actively Inviting, Naturally Authentic. The Chamber provides many benefits to its business members and Chamber membership is an integral part of their business plan. Benefits include opportunities in marketing, networking, advocacy and education. Most programing is included with membership at no additional cost. The Chamber welcomes all new residents, prospective businesses and/or visitors to the area to stop by or contact the Chamber office to receive information from a variety of participating businesses and comprehensive community information, as well.